How in the world can this be possible?! aka The Guide! Step 1: Choose an article. Step 2: Open immersion in any language normally with immersion. Step 3: Upload the article. Step 4: Right-click "None Selected" under Translate into this language and choose Inspect Element. change None to en} if you want to translate it to English, fr} if you want to translate it to French, dn} if you want to translate it to French etc. Step 6: Choose your category and enjoy! I tested other languages too. Languages like Swahili, Icelandic & Finnish (!) work too! Get that person a job at Duolingo. Interesting. Duolingo seems to have all the software and dictionaries for other languages already in place; why on earth does it not simply open up immersion for these languages? Yet, on the contrary, recent A/B tests seem to suggest that it wants to do away with immersion altogether for even the languages that have it now. It's madness, madness I tell you! It should be "Ja! Ik ook :D" The difference between "Ik" and "Mij" can be quite difficult in Dutch. Even a lot of us natives don't always get it right. The trick is to fill in the verbs that you are leaving out. "Ja! Mij kijk er ook naar uit! :D" or "Ja! Ik kijk er ook naar uit"
As long as you can get into immersion through another language, Dutch is present in the dropdown. I hope the DuoLingo staff will take notice of this and realize that without immersion, DL is just another learning site like countless others. Hopefully! And also, congrats on the 500 days! Given that they have actively prevented people on the web_noimmersion_experiment from working around the blocking on immersion, I don't think that this will survive for too long. Yeah, inquiring minds want to know! That is a major coding feat! Surprised to see this post only has a few comments. How are you able to have immersion for these languages? I like this a lot. But I must admit I'm a little worried about whether Duolingo will try to "fix" this er... unintended feature. Hopefully rather than "fix" this unintended feature, Duolingo will take a hint and listen to its users. They are "listening" (right now) to their users about immersion: through a statistical measurement of their behaviour (=A/B tests). And given the name of the test "web_noimmersion_experiment" it seems they are looking if users' (statistical) "behaviour answer" shows, in average, that Immersion has a positive effect or not. So I don't want to be the bird of ill omen but the possibility that Duo may just get rid of Immersion (for all courses) in a short-term can't be excluded. This would allow them to re-allocate staff time that is actually consumed by this "undeveloped since October 2014 and not anymore in the business plan" feature to other areas they'd like to improve (fixing issues, improving website, apps, incubator, Duo schools, Test Center, ...) or create (maybe to somehow replace/compensate the loss of Immersion). But it's fine as it is! It's pointless to remove it! I'd complain to death about that. It's pointless to remove it! Again, from their point of view not necessarily: it'd free staff time that could be put on other things they want to develop (contrarily to Immersion that they decided long ago to not develop). And so, in the end, it could even be from our point of view (depending on what will come next ;)): we may prefer them to work more (so it'll come more quickly) on something new and that they want to develop and expand rather than keeping staff maintaining and moderating something they will not develop anyway. But is me , actually listening to the rules banning me as UE citizen to use immersion, even though it is avaliable to me sending them a message that they should work out the way to include UE residents in immersion,or does it say more about me not wanting immersion? I really don't like their myopic obsession with A/B tests. I am sure they are great for small changes and tweaks, when you can't really be sure what is the best direction to take. Do I even need to finish this rant? Just put the damn cake there. The people that want the cake will eat the cake, the people that don't, well.. they just.. won't. Better yet, don't just have cake, have sausages and burgers and free booze and pinatas and whatever else you can muster. You can't have a party by clinging to restraint. This is amazing! And there are plenty of other language codes Duolingo has, such as sn} for Sindarin, kl} for Klingon, dk} for Dothraki, xl} for Lolcat, and even xz} for Zombie! But most amazingly, ep} for English (Pirate)! But we can try to translate to Lolcat or Zombie! Oh that's great! Thanks for telling us! Where can we upload our articles we want looked at by the community for Norwegian Bokmål? Follow the steps as above to post your article(s). You will have to make a discussion post with the links to the Immersion document for others to access it. Sorry, let me clarify. I know how to upload articles but what I meant to ask was if a thread exists for us to share our articles. Unlike the 'official' languages made available for immersion, the uploaded articles don't appear in public unless someone 'manually' shares the links. So my question is do we have an existing Norwegian (Bokmål) thread to share the article links we have? I know there is a Swedish thread for that. I have been unable to find one so far. As non of my learned languages have immersion, I cannot do the uploading stuff, but I would love to try my hand at translating some Norwegian texts. I really hope someone will do the deed and start a post with links. Dutch does work. Under step five you made an error. I'm very excited because I've been hoping that Esperanto immersion will help to grow the Esperanto Wikipedia even faster than right now. Is there anyway to search Immersion files for more? Or all these files private because no one can find them? Far as I know they aren't searchable ... whoever uploads them will need to share the link. Click where it says "none selected". Another "none selected" pops out below it. Right click on it and do "Inspect Element", then make the change where it says "None" to "en}". Yep, you're certainly right. Of course you should have both, but it's more important to have server-side validation: client-side validation provides convenience for the user, while server-side validation provides security (for some definition) for the host. Nearly 250 articles and ever growing! An August gift from Luis: Immersion articles! Edit: English articles to Vietnamese. I think it can help a lot for those studying Vietnamese or English for Vietnamese (or both (^^)/). For anyone who would like to do some Swedish - English translations, here's a Swedish article about Lief Eriksson. Anyone had luck with generating "non english" to "non english" ? I tried to generate a Portuguese to Spanish document, but ended with a Portuguese to Portuguese one. Checked the posted form, there is no data about the source language, so I guess it's taken form the user's current setting. Not 100% sure but at least when uploading from Spanish experience seems to go to the last active language during the creation. Either that, or the current active language. I uploaded Ukrainian article and translate part of it to Russian. That is very interesting! I have already uploaded many articles to translate to Spanish successfully. And now I think I will try with Mirandese to Portuguese (there would be two Brazilian flags) and Occitan to Catalan (there would be two Catalan flags). Hola davidvdb, siguiendo tu idea acabo de hacer un tutorial completo (en español) con imágenes y aclaraciones, para que sea bien claro el proceso. En mi caso en vez de cambiar "None selected" directamente cambio el "en" por "es" (ingles a español), imagino que se puede hacer con cualquier idioma, todavía no lo he probado. Muchas gracias por compartir esta información, es algo que va a servir y mucho. WOW! im tring with danish-spanish and looks that works! You also have to "activate" the Upload button in the HTML editor. Can u try lt or hu? and what do you mean by none selected? I am struggling to upload. I have done all of the steps, however I cannot click on the upload button, as it thinks that I have not selected an option for the language. Could you help me out? Are you sure that you choose the category? You need to change "None" (near "Not selected") not "Not selected". Hmm, doesn't seem to be doing it for me. I tried manually removing the disabled="disabled" attribute on the upload button but still clicking it went nowhere. I should do it like this? This is amazing! I was disappointed that there isn't Immersion for Esperanto but it seems there's a way around this and things to translate! Brilliant! How do you do the like bar code thing for Esperanto? Is it ep}, or es}? Duo uses the two-letters ISO 639-1 symbols (up to some additional information in some cases: zh-CN, nl-NL, no-BO, ...). eo for instance for esperanto. Yes, that will be great, thanks! And for Portuguese look at the Streams of others who learn the language. When they work on immersion texts, you can follow the link from there. Or ask someone who learns Portuguese and does Immersion to give you a couple of links for texts that still need translation. It's works for me! This is so cool! I'm going to translate from French to Russian. Thanks a lot! I tried it out, and when I pulled the "Inspect Element" there was tons of complex coding and I couldn't find where I should change "None". They did have it for text color, though. You have to click "None", then another "None" pops out below. THAT'S the one you inspect. I'm sorry but I have no experience using the immersion function on Duolingo. what does this do? If you haven't used Immersion, it is a feature for translating all sorts of texts from your target language into your base language. It is a huge and interesting way to develop your learning beyond the skill tree, and a really valuable Duolingo asset. Trouble is, you can't really use it if you are a beginner in the language, so if Duolingo is testing to see how many people use it they will wrongly count all those at earlier stages as "not interested". Just click on the "Immersion" word in your activity line and have an explore. This is actually the result of an unauthorized hack on the part of an enterprising person. But cool nevertheless. The big question is what happens when the Duolingo people finally catch on to it? Will they open up immersion on other languages? Fix the loophole which enables people to upload these articles? Or remove immersion entirely altogether? I am hoping for the first option of course. 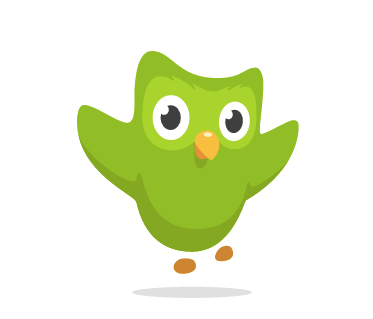 If Duolingo doesn't really want this feature anymore - couldn't the feature live a life of its own, on a new website`? Probably it's not clear what will be. So it's a good idea to secure the translation after some time. How does that work!? O_O WOW! How does it tell us the vocabulary and all? How to do it on the phone? I cannot find "Inspect element". After you put the URL of the document and Duolingo uploaded it, you go down to "Translate into this language". Put the cursor on "None selected" and right-click. You'll have to choose the last of the offered items, which is "Inspect element". That exits only in some Web Browsers, for example in latest versions of FireFox. Do you get this half window below? By the way, it is possible to upload articles even if none of your languages have Immersion or you're on the wrong side of the A/B test. You just need to go directly to https://www.duolingo.com/translations/upload. i do not have the emmersion section what can i do? Change language to one that includes Immersion. good, I need it, thank you! hm....I had an Italian immersion for some time. However, it's been gone from my view. How could I go back there? It was interesting to translate everything. At least, reading them was fun. How could I go back there? You can't. Have a look to the Support pages's article "What happened to Immersion?". That's hilarious. Is the "}" actually required? I reported a bug a couple weeks ago where 3 likes renders as "user1}, user2, user3". The issue is just an extra "}" in their markup. Still not fixed though :/. Please add Japanese as a Duolingo option. The Spanish is fun, though.